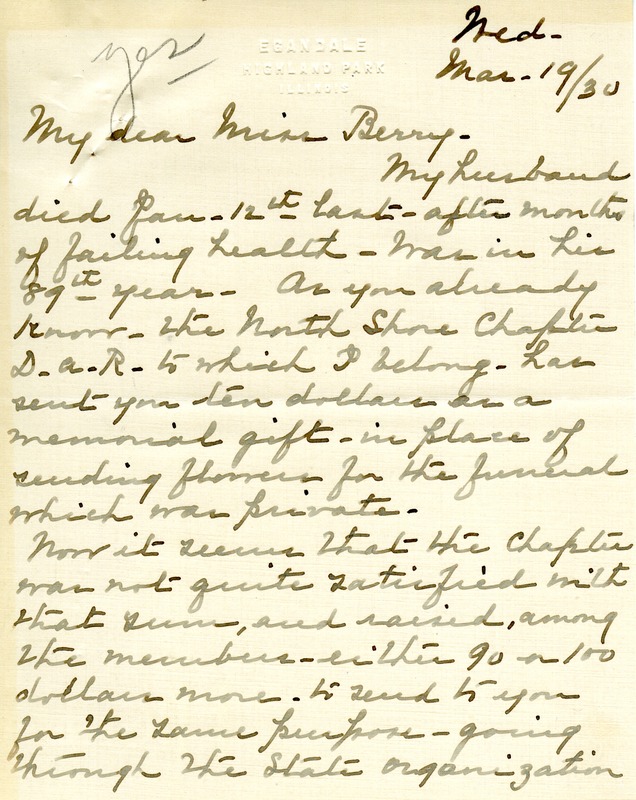 Mrs. Egan writes to inform Miss Berry that her husband has died and the DAR chapter to which she belongs has donated money to Berry in his honor. 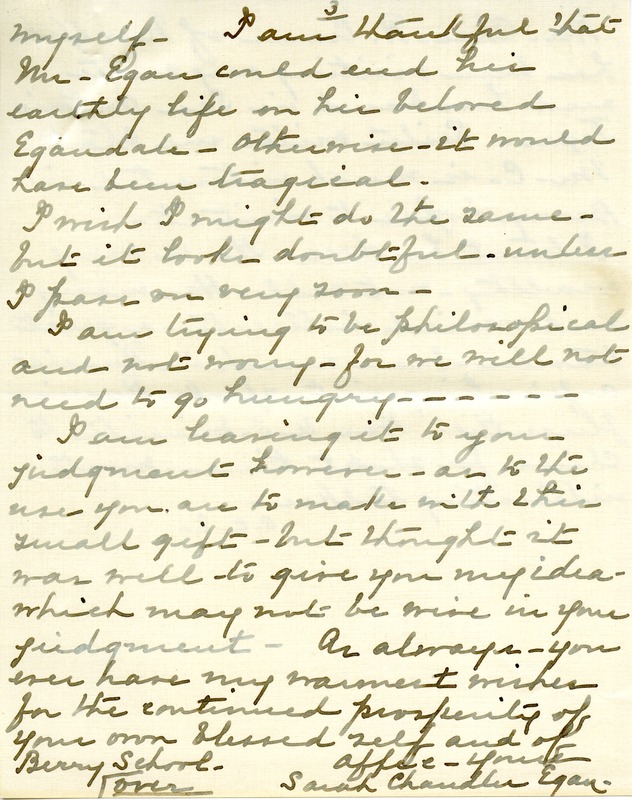 Since Mr. Egan loved his trees, shrubs and flowers so much, Mrs. Egan proposes that the donation from the DAR chapter be expended on beautifying the grounds at the Schools. She leaves it to Miss Berry's discretion. 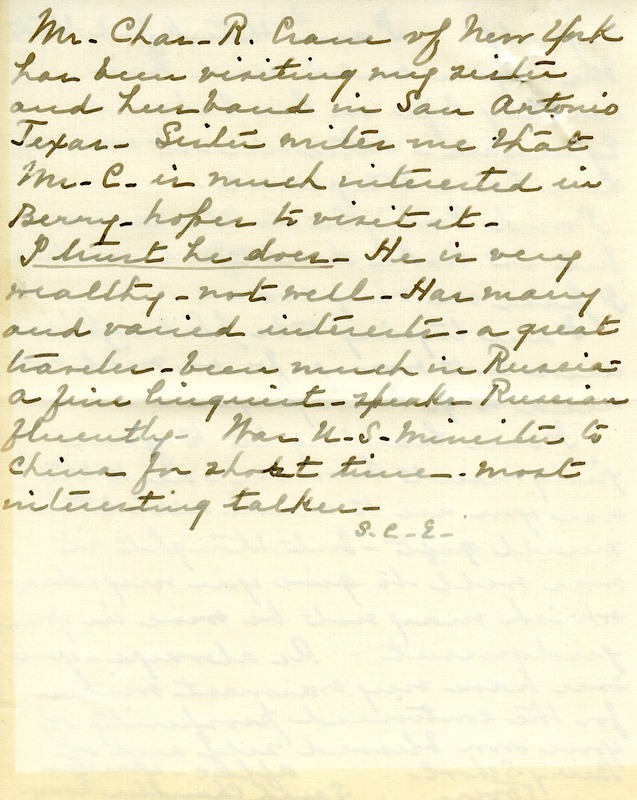 Egan reports that during a visit with her sister, Charles R. Crane mentioned an interest in visiting Berry. 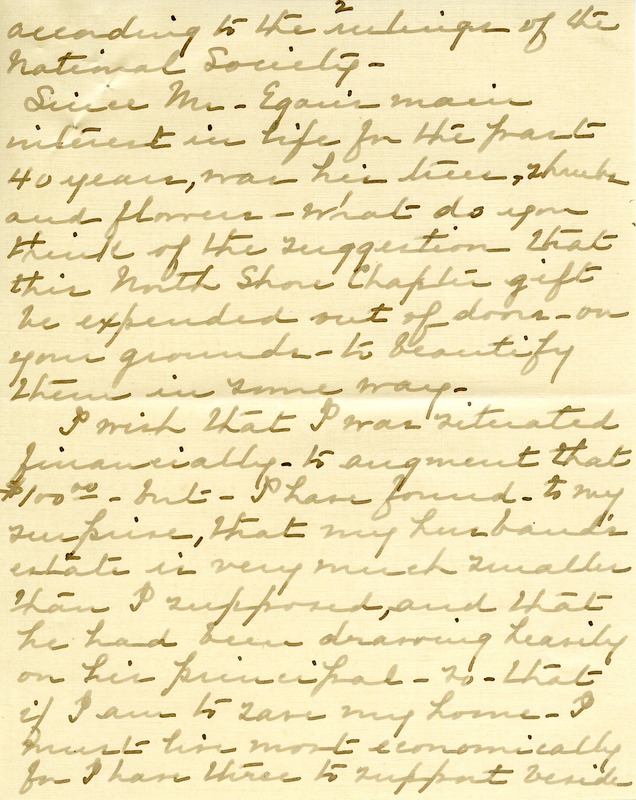 S. C. E., “Letter to Martha Berry from Sarah Chandler Egan.” Martha Berry Digital Archive. Eds. Schlitz, Stephanie A., Sherre Harrington, Chelsea Risley, et al. Mount Berry: Berry College, 2013. accessed April 20, 2019, https://mbda.berry.edu/items/show/12465.